Combining culinary creativity with a love of nature, these inspiring kitchens will make you want to cook, dine, and host outdoors all season long. The Splinter Creek model house is a modern rendition of the classic dogtrot. 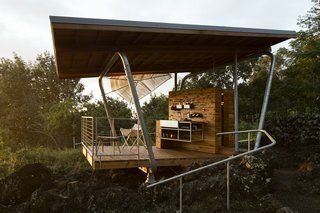 Its materials were inspired by agrarian structures common to the area, and feature informal, simple timber-framed structures characterized by natural light and a mindful sense of place. Set on five acres in the Cuernavaca neighborhood of Austin, Texas, a sculptural modern home that was designed with a strong appreciation for careful craftsmanship hits the market. Cleverly placed apertures pierce this skinny residence in Maringá, granting the lush interior an airy feel. On the opposite end of the entrance is a backyard garden with an outdoor grilling station—the hotspot for large parties and family affairs. 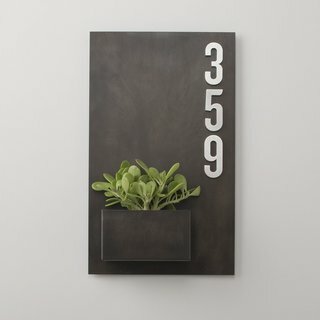 Created in partnership with the design team at Potted in Los Angeles, this steel planter box is a unique accent for any façade or entry way. Hand finished in our Portland, Oregon factory, our planter box is vertical gardening at its best. The Planterworx Element Planter, inspired by the random shapes of the rocks on ocean jetties, encourages conversation and contemplation when part of a contemporary landscape. 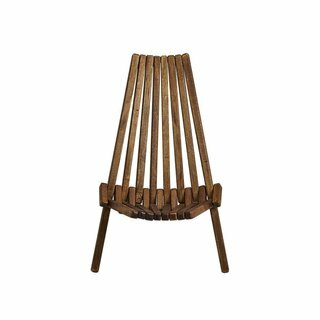 Handmade by a family in a small Mexican workshop, wooden chair promotes a relaxed, natural vibe. Slats of tabebuia rosea wood from environmentally-responsible forests lean back and spread out to form a surprisingly comfortable seat. Tight on floor space? 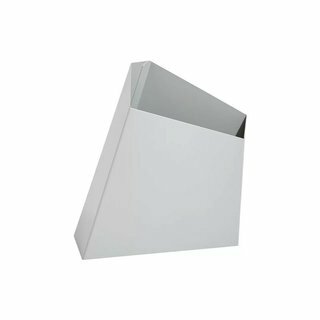 This chair folds for easy storage. Comprised of a stunning grand estate, as well as a reinvented pool/guest house, this expansive private compound in Pasadena is seeking a new owner. 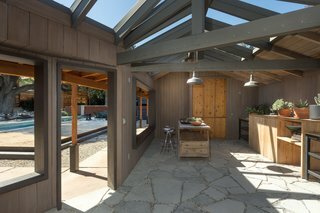 With original steel-framed windows, beamed ceilings, warm wood-paneled walls, and a gracious floor plan, the outdoor kitchen makes for a wonderful entertaining space. "A large loggia adjacent to the pool includes an outdoor kitchen and open fireplace. Timeless external finishes include cement render walls, metal fascias and timber soffits, and contrasting black powder-coated door frames and screens," says the architect and interior designer, InForm. 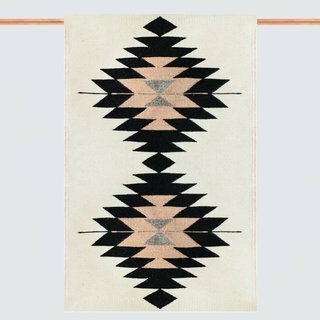 Soft earth tones, combined with geometric designs, this accent rug is a thing of beauty. A modern serving board that’s sure to steal the show at your next dinner party. 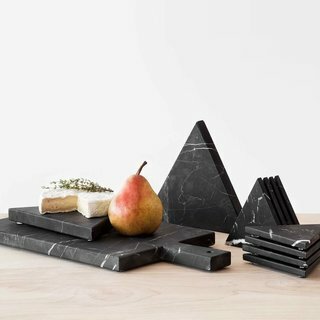 Handcrafted by master artisans in Puebla, Mexico, each unique hand-carved matte black marble board is made start-to-finish in a fair trade environment. 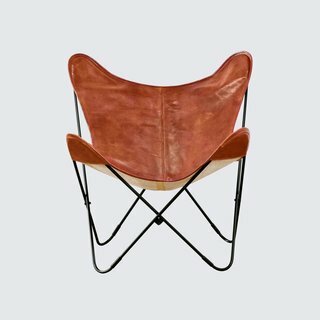 The Butterfly Chair is authentically Argentine: its inventive design and remarkable craftsmanship are iconic. Built in 1962, Steel House #4 is one of seven iconic, steel-and-glass prefab homes designed by Donald Wexler and Richard Harrison as part of an affordable solution for the masses. 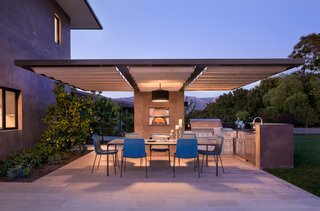 Homeowner Jay Longtin served as the general contractor and performed the majority of the remodel work, aside from the outdoor floors, concrete, and pool, which were done by Architectural Blue. 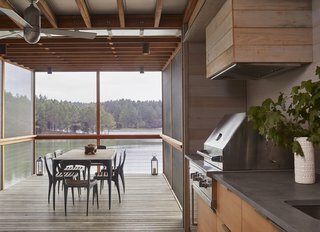 The drive for durability and worry-free maintenance didn’t preclude the Blue Lake Flathouse’s elegant design and surprising sense of lightness. Transparency was achieved not only through ample glazing, but also with the architects’ decision to place the staircase on the side of the home, enclosed in an expanded metal scrim. 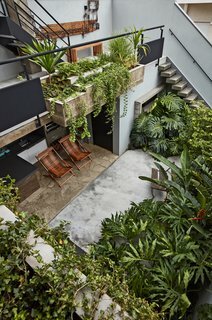 Large outdoor terraces and balconies on every floor also reinforce a connection to the landscape. 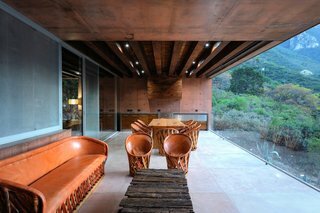 "The house acts as a large platform that floats above the tops of the cedars," says the architect, P+0 Arquitectura. 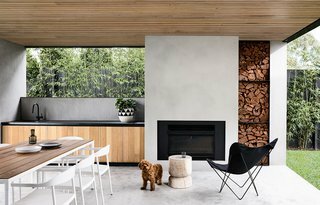 "The nearly 100 year-old Victorian farmhouse clearly had good bones, but over the years unfortunate facelifts and additions had left it somewhat listless as well as thermally challenged in both summer and winter," says Arkin Tilt Architects. The design team sought to preserve the Victorian's charm while renovating the kitchen and dining room addition to have an open, Zen-inspired vibe with a garden connection. 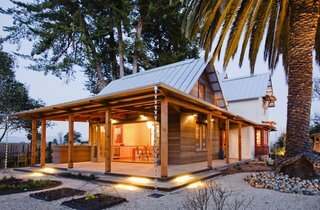 "Designed to take advantage of expansive ocean, island, and mountain views, this contemporary remodel and addition recycled the original 1948 ranch house to create a new two-story home with an open plan layout," says Blackbird Architects. 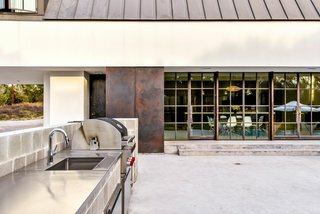 The outdoor hardscape and garden include a reflection koi pond and palm island at the entry, green roofs, an outdoor kitchen, a pizza oven, and a fire pit. 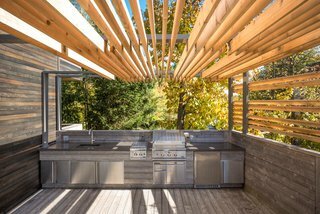 At one end of the L-shaped terrace, interior designer Martine Brisson included room for a full outdoor kitchen so the family could prepare meals without stepping inside during the warmer months. 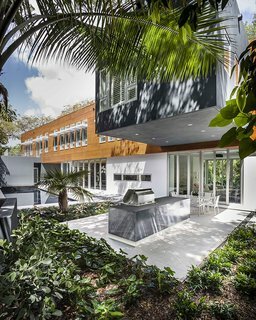 Architect Allan Shulman tackled one of Miami’s biggest architectural challenges when he designed a two-story home on a leafy lot dominated by a "solution hole," a depression in the limestone terrain caused by erosion. Inspired by the jungle scenery of painter Henri Rousseau, Shulman strove to leave the delicate habitat undisturbed. An elegant pool and outdoor kitchen extend from the living areas. Underneath the raised pavilion, the architect carved out an updated version of the classic Southern veranda. 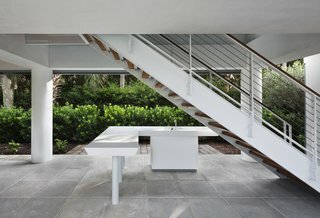 This one sports a minimalist outdoor kitchen and all-white accents with a cypress ceiling. 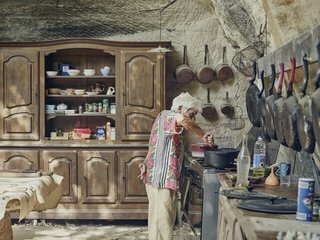 In the limestone kitchen embedded in the hillside, Lolo keeps only proven essentials—skillets that have been seasoned countless times and furniture that has been passed down for generations. Makai’s structural steel components were designed by Mark Donofrio and affixed to the lava at four points. The kitchen contains a Kohler sink and pot racks from IKEA. "Because of the angle of the lava, it’s asymmetrical," says architect Erin Moore.